The world became a place of fast changing trends, fashions, styles and of course technologies. Sometimes it is scary to realize how far we have progressed as a society. Juts think about for a moment, our homes can be controlled with artificial intelligence. The homes are being built and remodeled within weeks. The variety of materials is growing with every year as well. There are homes being built from %100 green-recyclable materials. The way we consume energy has been changed dramatically as well. Elon Musk is playing the most important role in the future of energy supply for both residential as well as auto industries. His new technology called Solar Roof is a game changer and even if it is not accessible and affordable for all, it definitely will be in the near future. If you are planning on remodeling your roof anytime soon, you can find a little bit more information visiting their website . We are pretty sure that Comfort Home Remodeling Design of Elk Grove, IL will be installing Solar Roofs through Chicago land area in the near future. The new generation of tech people is not stopping surprising us with their developments and ideas. Lets get into whats trending in construction world and home remodeling trends of 2017. Even though todays fashion is taking us back into 60s and 70s, construction and remodeling is still moving forward with its contemporary and modern look. Colors are playing one of the most important roles in home design. Nowadays we are observing a change in kitchen remodeling and the colors that are being used. Bright colors are being used more and more often. The softer edge can be introduced by muted white and gray color of the fixtures, colored cabinets and appliances. More and more often people are trying to impress their guests with the entrance into their houses. When remodeling your home or entrance in particular make sure to not overthink the project. 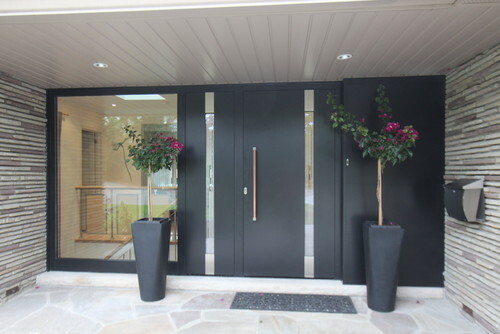 Modern decor is a game changer and it will revolutionize your home entry. Many of our clients are trying to make their spaces more spacious and open thats why stylish storage decor such as trunk benches or built in shelving will look a lot more welcoming and attractive. At the same time it will give you more room to breath. It is very important not to overdo which can lead to a cramped feeling and overall changed impression of the whole house. 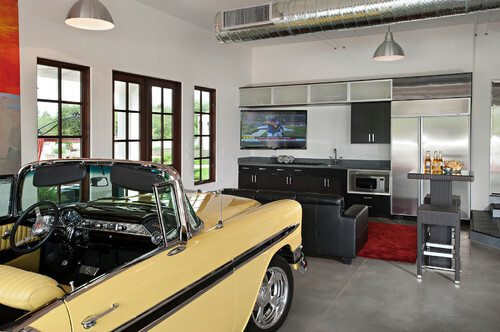 While many build new garages, the rest is simply remodel and renovate the garage space. As was mentioned above, saving living space has became a priority for most of the homeowners. Garage and basement usually considered as a storage space thats why it is common to design useful but space saving shelving. There can definitely be added some storage drawers and customary designed wall hangers for your tools. New tile will keep you from stains and water deterioration. New lighting and some sitting area will make your garage more utilized and at the same time fun area. Lastly, you have to be careful on which remodeling company you are hiring. There are many remodeling contractors in Chicago land area but there are only few who are dedicated to their craft. Those who walk along with the trends are those who will be able to help you with your remodeling or building needs. Make sure to check company youtube channel and see for yourself why Comfort Home Remodeling Design of Chicago , IL is the best choice. I like the bright colors that are being used in the kitchen like you mentioned. The Pantone color of the year is “greenery”. I think it looks great in kitchens because it gives a splash of color suggesting organic life and growth. This is really something to be excited about, and while we are waiting for the clock to strike midnight December 31, we can make our homes enter 2017 on trend with some of these remodeling efforts.